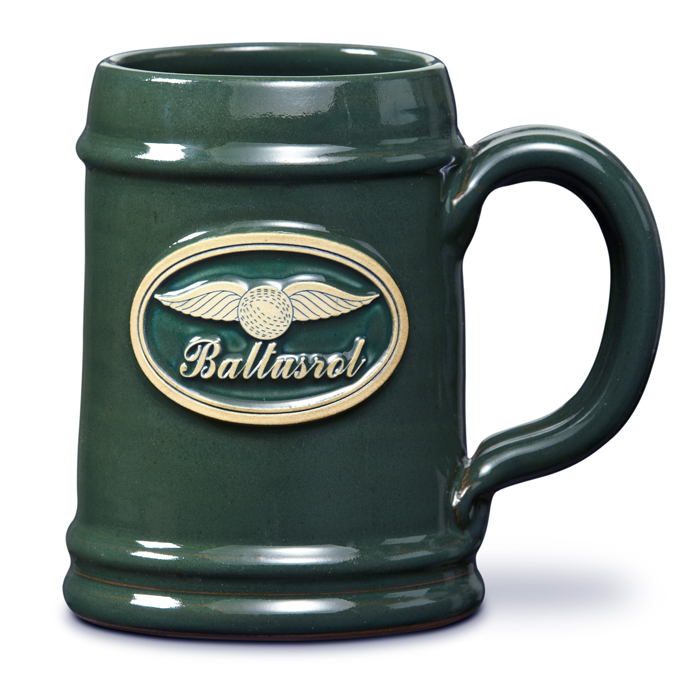 When it comes to the subject of creating custom hand-thrown mugs, we consider ourselves the best. From the consistency of our glazes, the functionality of our forms, and the crisp detail of our medallions to their tried and tested durability, we continue to lead the way! 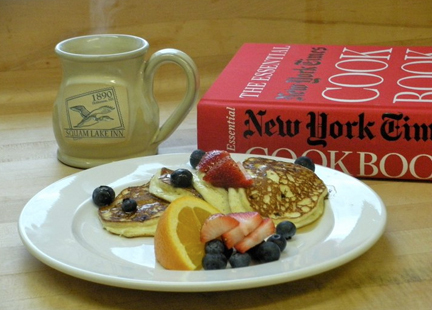 But, for a better understanding of how the mugs are best utilized, we rely on our brilliant customers to lead the way. Here is a list that brings in ideas from far and wide and is simplified into five easy points. 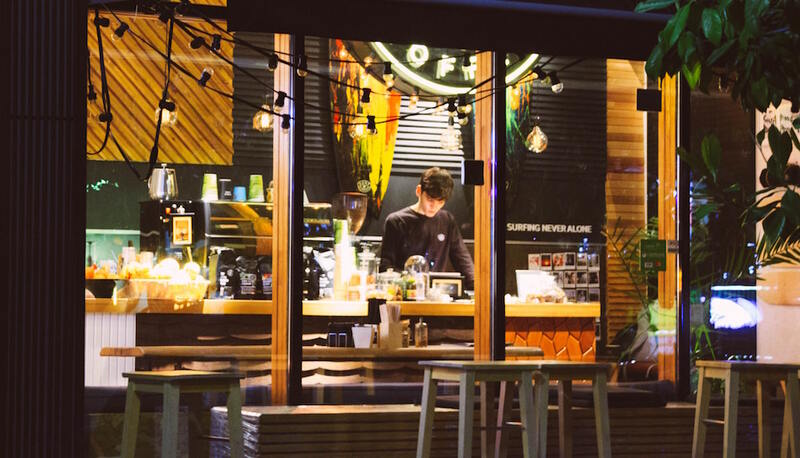 Most of these ideas come from innkeepers or restaurateurs who order and reorder most frequently. It has been said that if you want to know how good a mug is, YOU HAVE TO DRINK FROM IT! People fall in love with our mugs when they use them, and once they are in love, they’ll want to take them home! #2 Knowledge is power. So, talk about the mugs! 1). 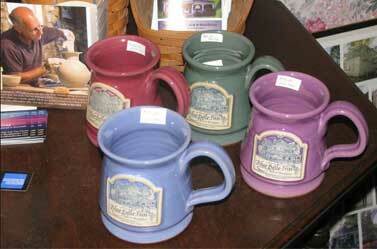 The mugs are made by Deneen Pottery, a family business since 1972. 2.) 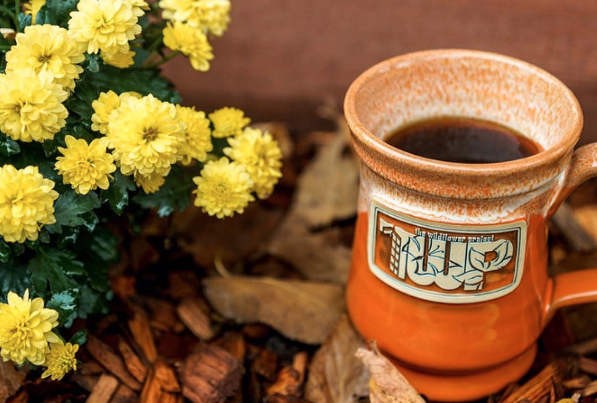 Each mug is individually hand-thrown on a potter’s wheel. 3.) All materials are lead and cadmium free. 4.) The mugs are microwave, dishwasher, oven and freezer safe. You don’t need a gift shop to do this. A simple pyramid or a couple mugs with the stand-up card that we provide in your shipment will do. By allocating a space for the mugs to be seen, people will then know that they are for sale. #4 Put them in your guest rooms! Worried that they’ll grow legs? Not if you put a well-worded sign like this one with them. Feel free to use it as it is or change up the text to make it your own. #5 Give a Little to Get a lot! Don’t be afraid to give away a mug or two. Of course we know you paid for them, but just think of the return you could receive when someone asks where the mug came from… We hear stories all the time about travelers who plan their trips according to which Bed & Breakfasts carry our mugs. Consider it the most affordable form of advertising that you can buy. 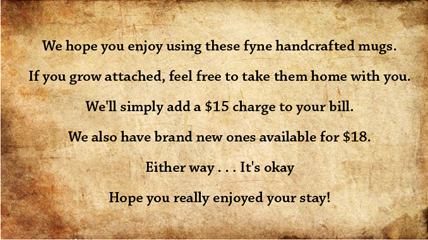 You’ll never know whose hands the mugs will end up in, it could be your next loyal guest!